Join us for a free "live" webinar designed to get you started modeling in Rhinoceros. 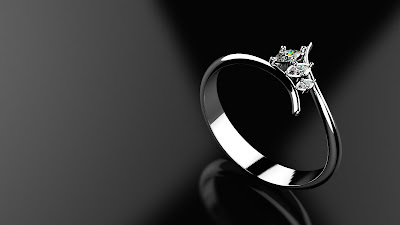 In this live Getting Started webinar, we will demonstrate how to model and render a ring using Rhino. Move from a “clean sheet” to a model very quickly. Build and render a simple model ring built from scratch in about an hour and a half. We will also discuss modeling techniques and approach. Many tips and tricks will be included during the session. So be sure to bring a notebook. All sessions are recorded so you can review and study later. Space is limited. If you have any questions, please contact Mary Ann Fugier.